Former Prime Minister claims Netanyahu is leading Israel towards a reality of one state with an Arab majority. 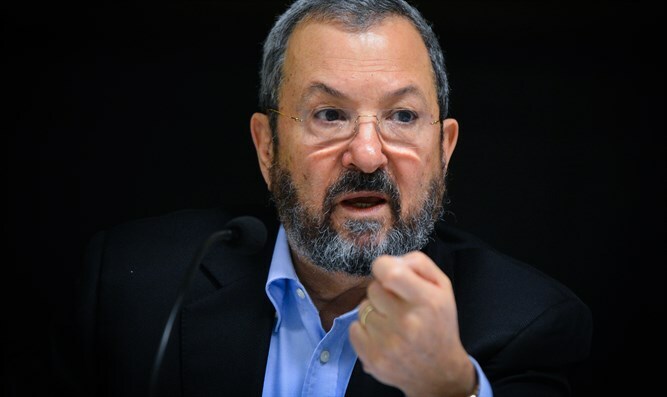 Former Prime Minister and Defense Minister Ehud Barak on Sunday blasted the government of Prime Minister Binyamin Netanyahu, warning that it was leading towards a reality of one state with an Arab majority. Speaking in an interview on Israel's Channel 10, Barak spoke of his failed attempts to reach an agreement with the Palestinian Authority in 2000, when he made then-PA chairman Yasser Arafat a groundbreaking offer which Arafat refused and then proceeded to start a terror war against Israel. "When we concluded Camp David, I said that when the time comes to reach an arrangement, we would need a magnifying glass to see the differences between the agreement we had there and the final agreement. The only thing that will change is the size of the cemeteries," he said. "Our situation today is somewhat more problematic than it was then," continued Barak. "This government is leading Israel to a reality of one state from the Jordan River to the sea, and within a short period of time there will be an Arab majority and an almost permanent civil war." "I'm worried about where the state is going. The government is in a state of consciousness that is dangerous to the future of the state and to the Zionist project. It is sad to see how much the political landscape is empty of a real clash of positions,” he said. The interview marks the latest in a series of attacks by Barak on Netanyahu and his government. Several weeks ago, Barak claimed that the Prime Minister's desire for early elections had nothing to do with the controversy over the potential closure of the Israel Broadcasting Authority. "It's not just the corporation. It's about the corporation, the investigations [against Netanyahu], and the realization that his [policies] are in opposition to the Trump administration," he told Army Radio. "The Prime Minister is a smart guy, but he is weak, and he is under interrogation, and therefore he became obsessed with the corporation," Barak added. Barak left the Labor party in 2011 in order to form the Independence party. It is unclear whether he still has political aspirations, though he recently attended a Labor party gathering.